April 16th is International Wear Your Pyjamas to Work Day and whilst we can’t imagine the offices of Mayfair and St. James’s being awash with gentlemen (and ladies) in their sleep attire, here at Budd, we thought we would embrace the occasion. 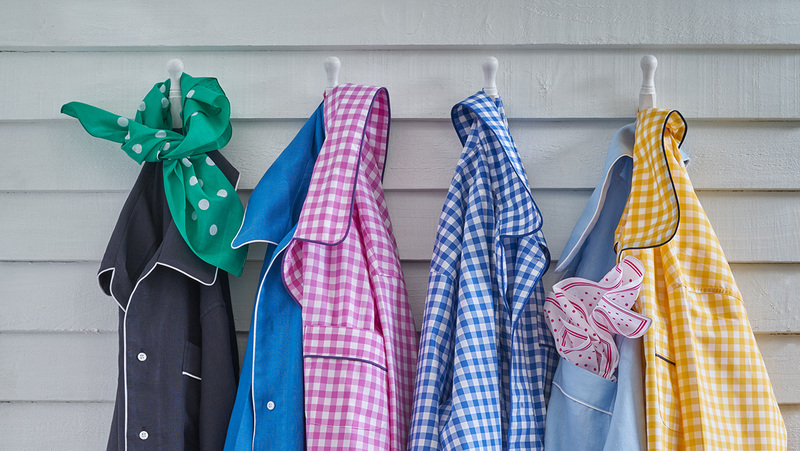 What better excuse to test run our own collection of pjs? And after all, with today’s resurgence of the pyjama and their new status as clothing for day and night, home and play, we thought this celebration was a great way to honour this Budd staple. 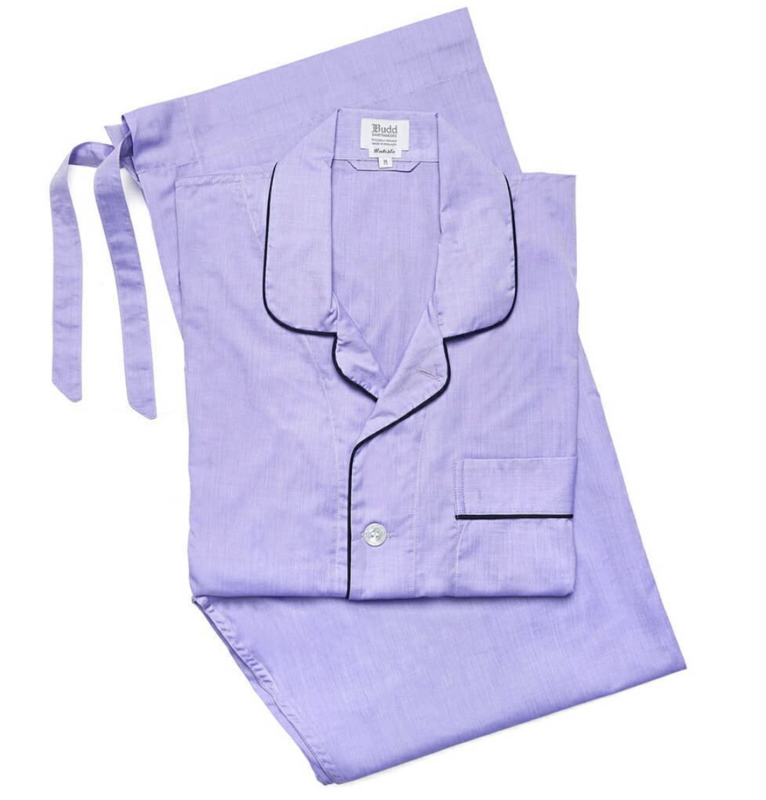 Pyjamas, pajamas, jim jams or jammies, call them what you will, everybody has a favourite pair of pjs languishing in their drawer. Indeed, who amongst us, doesn’t dream of heading home at least once a week to languish in them? 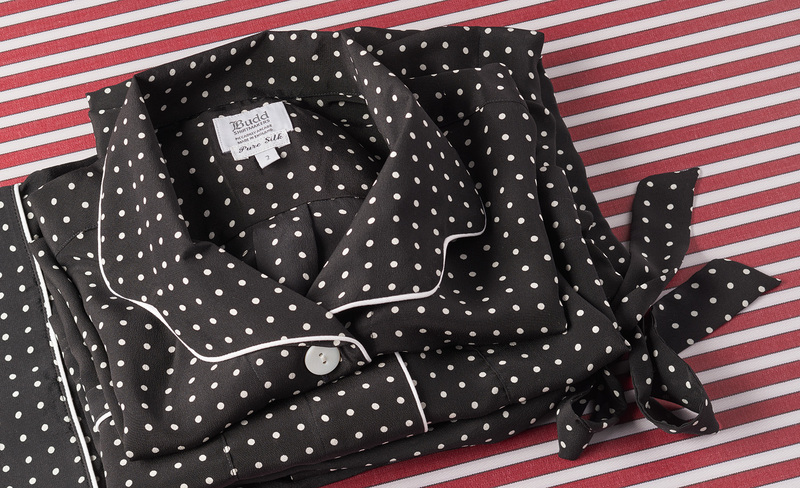 Our celebration of pyjamas is not a new thing, in fact they are almost as synonymous with the company as our shirts. Last year saw us launch our first range of women’s pyjamas too, in a bit to satisfy the needs and jealousy of so many of our female customers, not to mention the Creative Director, Fanny, and the other ladies in our team. 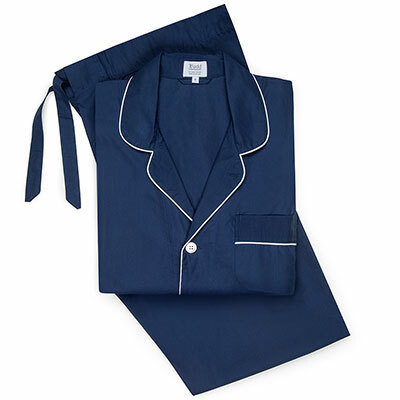 Pyjamas were originally introduced to England as “lounging attire” in the late 17th century. Their popularity didn’t last long, with almost two hundred years passing before they returned to fashion on our shores, thanks to our Indian subcontinent connections. From 1870 onwards, they became a mainstay in every gentleman’s wardrobe. 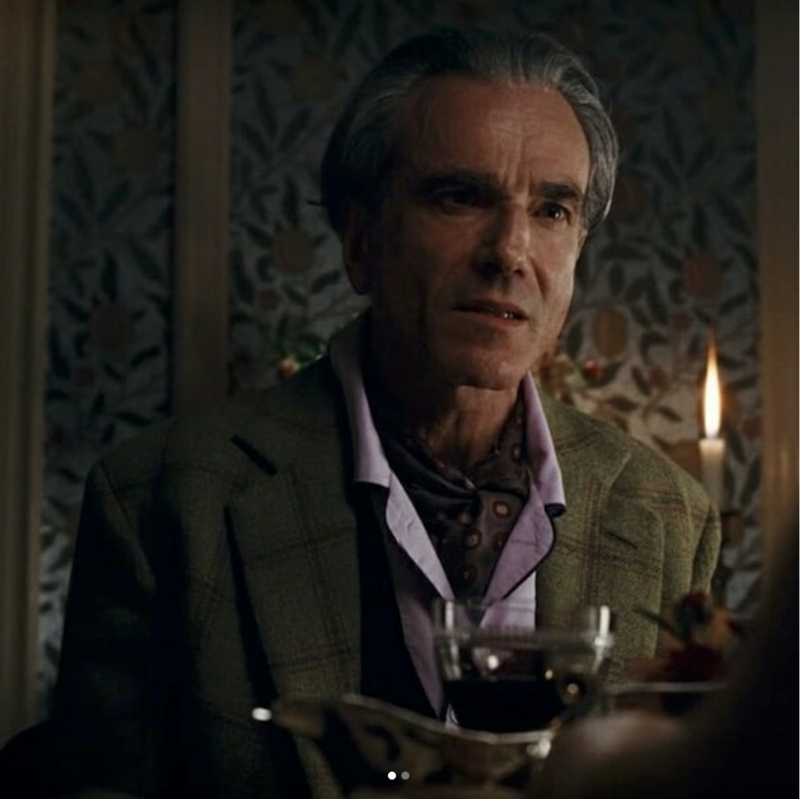 Daniel Day Lewis showed just how great our pyjamas looked in Phantom Thread, donning them so stylishly for much of the movie, even when in the clutches of a few killer mushrooms. Much has been said about the actor’s sartorial know-how and splendour throughout the film and his first hand involvement in choosing his wardrobe showed a great, aesthetic eye. Mr Woodcock even gave his pj’s a daytime makeover, twinning them with his Anderson & Sheppard overcoat, for a louche look that really worked. It is not just fictional artists who have embraced a Budd PJ. Amongst our fan base have been several renowned artists (past and present) and a leading film director, all of whom love to work in them, eschewing track pants or overalls for this comfortable, colourful alternative. You appreciate a great pair of pyjamas every time you wear them, especially when freshly laundered. They are the antidote to long, tiring days and a comfort against a dreary Sunday. Think about how long we spend in bed and you realise how worthwhile it is to dress for the moment! 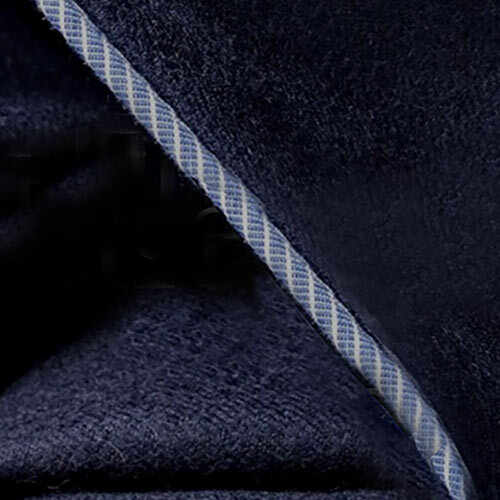 Budd offers a multitude of qualities and colours, from simple poplins and luxurious silks, through to cotton cashmeres for when the nights draw in. The minute things warm up or our cases are packed for hotter climes, we love the linen look and the lightness of our Batistes.